Scale: 650, Top: solid spruce, Back: solid cherry, Neck: maple. 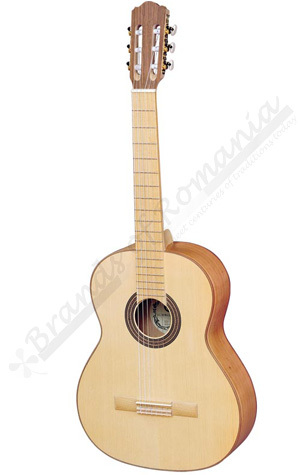 Classical guitar with six nylon strings, solid wood body and natural satin finish. Range guitars “Eco” are made from materials and components exclusively European having natural sound and appearance unaltered, original wood. 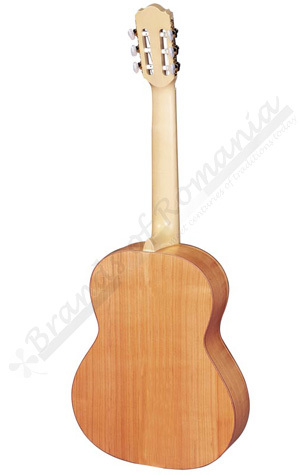 Size: 4/4, Scale: 650, Top: solid spruce, Back: solid cherry, Neck: maple.